Sometimes Mondays are blah and rough, definitely. When you have a blast of a weekend, heading back to the grind on Monday is the last thing you might want to do. It's so hard to get your mind back into work-mode and wake up to that alarm. Over here, Diet Coke is my Monday morning best friend. Ok fine, my every-morning best friend. And I really try to avoid acting down on Mondays. So please don't ever use that obnoxious phrase on me. It gets the same reaction as "Do you need a nap?" and "Are you PMS-ing?" Consider yourself warned. Here's an idea. What if, instead of being down either physically or emotionally, we all were excited for the new week ahead? What if the week and upcoming weekend held lots of potential for fun and entertainment? Schedule a get-together or fun workout with a friend. Book a movie date night. On my Monday mornings, I try to stay positive and forward-thinking, and always am thinking about how to jazz up an otherwise ordinary week. This Monday, I am lucky, because this coming weekend, I have some fun plans to look forward to! 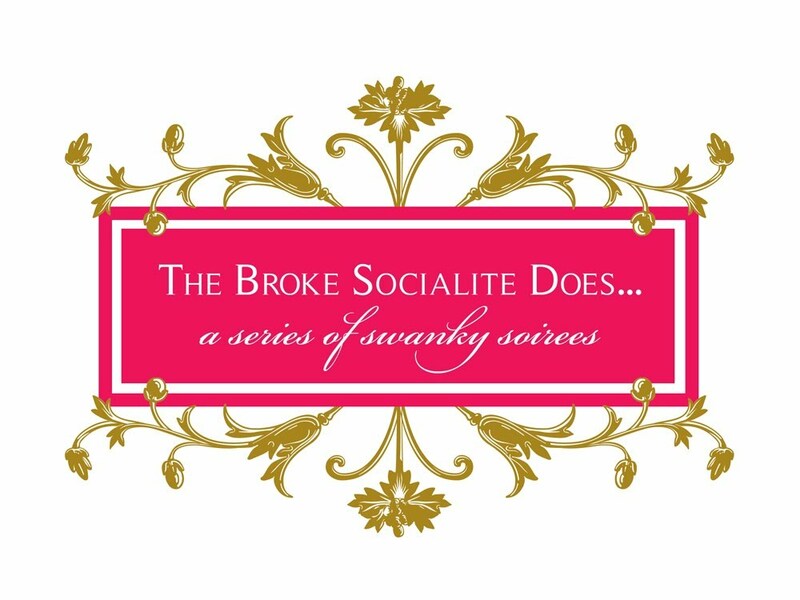 I am finally getting to attend one of the famed Broke Socialite Does ... tours. I have missed days full of sweets and treats both in and outside the Perimeter. Each of the previous tours appealed to me (who can resist things that look like this? ), but I knew that one day, Shameeka and her team would put together a Tour that was meant just for me. 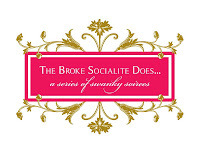 Enter: "The Broke Socialite Does ... Smoked Over! A BBQ Tour." Lord, help me. BBQ is quite possibly my largest Southern food weakness. It ranks right up there with fried green tomatoes, shrimp and grits, and pimento cheese. Side note: If I had been born and raised in culinary town Charleston, SC, I would be a much, much larger version of myself due to their creations of these foods. I have my favorite local 'cue joints, of course (you can never underestimate the power of a Slope's pulled pork plate), but why limit myself to just those stops, when Shameeka is bringing us all over town to sample the best of the best? Want to join me and the Atlanta foodie-community on Saturday afternoon from 12-4 PM? There are limited tickets left, so be sure to pick up yours TODAY, as it's the last day they will be available. Can't join us? Be sure to watch out on Twitter for coverage of the tour, and on the blogs (this one, included) for wrap-up summaries next week, as this foodie crowd loves sharing pictures and videos from the tours. Get ready to salivate from the visuals, just a warning. Update 8/12: Sadly Miss Shameeka has had to postpone this particular Tour until the Fall. Stay tuned to her website though for more details, as there are a lot of great things coming up, otherwise!